The Open-Air BalconySM - designed with your views in mind. 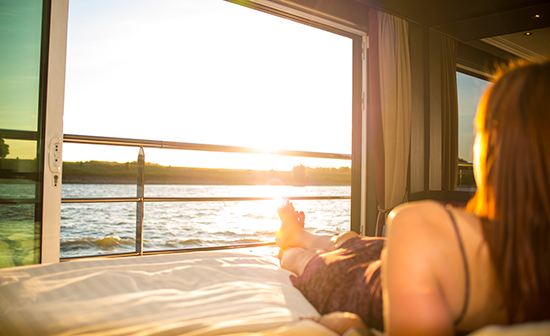 For those who have always looked deeper, we redefined the window of opportunity with river cruising's only Open-Air Balcony. A Panorama SuiteSM feature on the Suite Ships® of Avalon, these wall-to-wall and floor-to-ceiling windows open wider than any other in the industry, blurring the line between outside and in, forming a comfortable and spacious seating area for six, and creating an open invitation to discover and dream. Even if you're a seasoned traveler, you've never seen Europe like this.